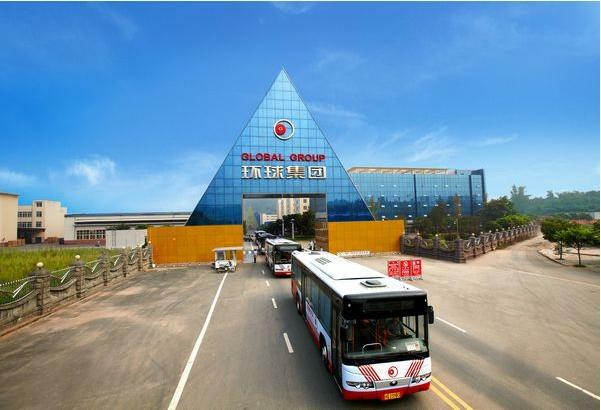 Global Group Co., Ltd., Yibin, Sichuan, located in the Glass Industrial Park of Yibin Wuliangye Group as well as in Longquan District and Shuangliu County of Chengdu, is a backbone company of Wuliangye Group.Covering an area of more than 2,000mu, the Company has RMB3.7 billion fixed assets and more than 6,000 working staff. In 2014, the Company`s sales revenue reached RMB5.014 billion . 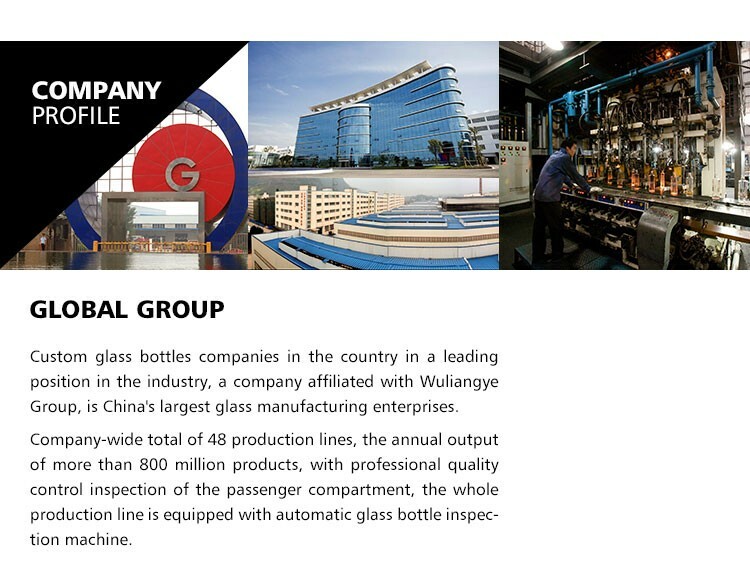 Global Group is a modern enterprise covering production, R&D and design of glass and opto-electro products as well as domestic and overseas trading. 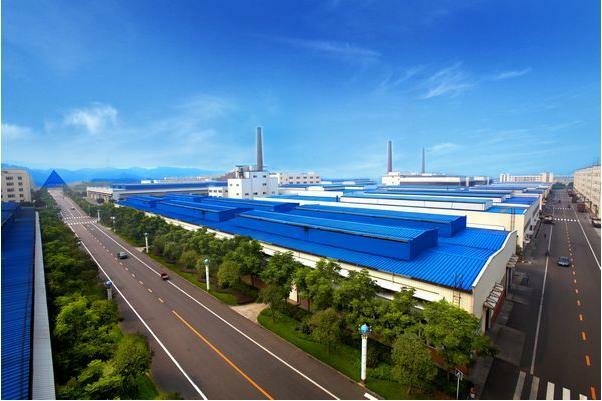 The Company mainly produces a series of Wuliangye glass bottles, high-class glass bottles, process bottles, household Glassware, glass insulators, optical glasses, solar ultrawhite glasses, PIC chips, LED energy-saving light sources, laser& infrared, NC display and reflective materials as well as other hi-tech opto-electro products and top-grade cartons. It has eight subsidiaries and one national laboratory. Today, its scope of business encompasses entire chain from glass production to deep processing with complete categories and processes. Products of the Company are bestsellers not only in China, but also across 26 countries and regions in the world. The Company attaches great importance to industrial development, talent training, technological innovation and cultural building. 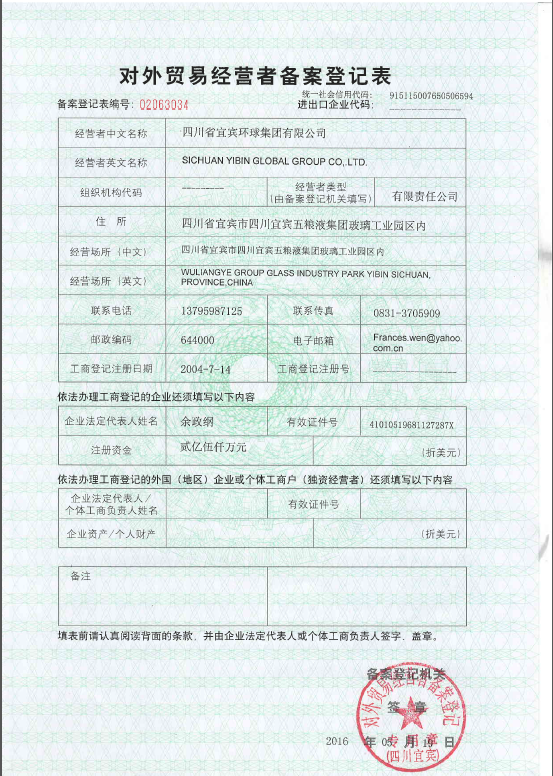 It is successively awarded as "Top 10 Enterprises in China`s Household Glass Industry", "Famous Enterprise in China`s Household Glass Industry", "Innovation-Based Pilot Enterprise in Sichuan", "First Batch of 5A Enterprises of International Credit-standing", "Advanced Export Enterprise" and "Good Faith Packaging Enterprise". While insisting on its spirit of seek aggressively to become a front-runner by innovation" and shouldering its historic responsibility of make staff wealthier and enterprise stronger as a great contributor to the society, Global Group will strive to develop hi-tech opto-electro projects and push forward its strategic transformation, so as to realize its ambitious target of building the world`s biggest production base of profiled bottles and a world-known opto-electro manufacturer of 10 billion output.